Each zone is 100-150 feet in length and vary in width. There will be a few obstacles on course. Course will be well marked so stay on course. EACH RUNNER WILL HAVE 3 FLAGS ON THEIR WAIST, SO YOU MUST MAKE IT TO THE END ALIVE WITH AT LEAST ONE FLAG ON TO RECEIVE THE SURVIVOR MEDAL. IF ALL FLAGS ARE GONE, YOU ARE NOW INFECTED AND ON YOUR WAY TO BEING A ZOMBIE. YOU MAY CONTINUE TO THE END OF THE RACE, BUT WILL GET AN INFECTED MEDAL NOT A SURVIVOR MEDAL AS YOU CROSS THE FINISH LINE. IF YOU MAKE IT TO THE END WITH ANY FLAGS INTACT, YOU GET A SURVIVOR MEDAL. RUNNERS MUST STAY ON COURSE AT ALL TIMES. IF YOU DONʼT YOU WILL BE DISQUALIFIED!!! NO PUSHING, GRABBING, BITING, SPITTING, THROWING OBJECTS, TRIPPING, OR PUTTING YOUR HANDS ON ZOMBIES. IF THIS HAPPENS, YOU WILL BE ASKED TO STEP OFF COURSE. MAKING IT TO THE FINISH LINE AS A SURVIVOR WILL WONʼT BE EASY!!!!!! BUT YOU CAN TRY!!!!! YOU CAN DRESS UP HOW EVER YOU WANT. HOWEVER, WE PREFER YOU TO DRESS NORMAL LIKE YOUR EVERY DAY SELF, NOT LIKE A RUNNER. MAKE IT FUN!!! DRESS UP LIKE A DOCTOR, BUSINESS MAN OR WOMAN, LAWYER, ARMED FORCES PERSON, ROAD WORKER, FAST FOOD PERSON, OR WHATEVER YOU LIKE. 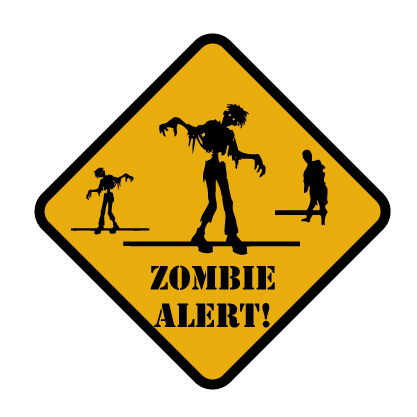 IF YOU SIGNED UP AS A RUNNER, DON’T DRESS UP LIKE A ZOMBIE!! TO TAKE THE FLAGS OFF THE LIVING. EACH OF THE LIVING WILL HAVE 3 FLAGS. ONCE ALL FLAGS ARE OFF THE LIVING, THEY ARE NOW INFECTED AND KEEP RUNNING TO FINISH. IF THEY GET FULLY INFECTED THEY MUST MOVE FORWARD. THEY CANNOT STAY IN ZOMBIE ZONES WITH YOU. ZOMBIES ARE NOT ALLOWED TO TACKLE OR GRAB THE LIVING TO TAKE FLAGS. NO TRIPPING OR HOLDING OF THE LIVING. NO HITTING OR FIGHTING OR THROWING OBJECTS AT LIVING. YOU WILL BE ASKED TO LEAVE IF THIS HAPPENS. YOU MUST STAY IN YOUR ZONE. DO NOT GO OUT OF YOUR ZONE. ZOMBIES ARE ONLY ALLOWED TO TAKE ONE FLAG OFF PER RUNNER, AND NO MORE THAN THAT. YOUR GOAL IS TO MAKE SURE NO ONE SURVIVES. YES NO ONE!!!! EAT THEM ALIVE!!!! Haunted Mayhem is a dusk to evening haunted house event in one of the most scariest places on Maui. Site to come shortly. This event starts at 5pm and goes till 9pm on October 26th-30th. Cost is $12 for adults and $7 for kids under 11. It is scary and fun. You can expect several different haunted themes throughout the event and surrounding areas. Clowns, zombies, monsters, psychos, ghosts, strange beings, and the REAPER. Plenty of parking. Just come and have some fun with family and friends. ***We have a right to refuse people coming in to the event drunk. ***Anyone caught macing and or hurting any actor, will be asked to leave and or arrested on site, so please just enjoy yourself and have fun with your family and friends.